Low Fructose Vegan Salted Chocolate Peanut Butter Slice. 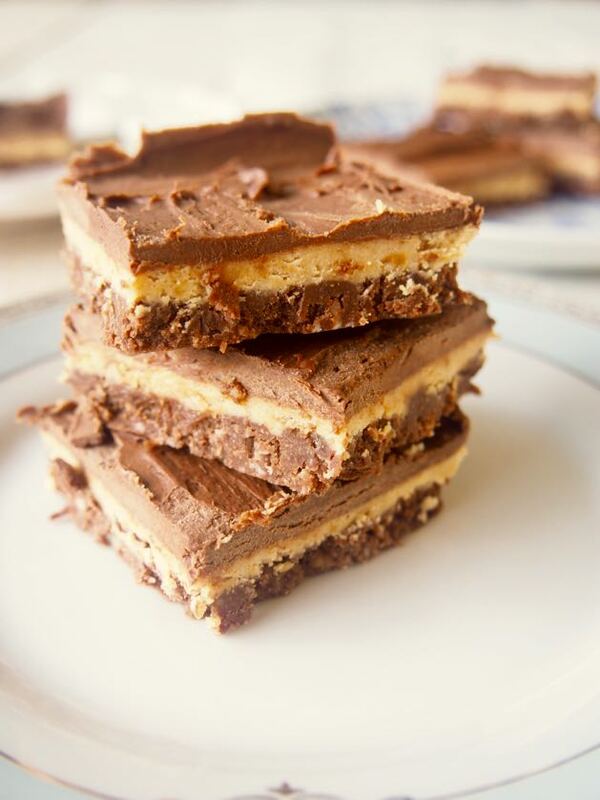 This Low Fructose Vegan Salted Chocolate Peanut Butter Slice is about to rock your world! Ahhh it’s freaking delicious! Trust us, you owe it to yourself to make it and eat it. Yes… before you say but peanuts aren’t paleo! We’ll stop you, because we definitely know they aren’t paleo. This is why you don’t see PALEO in the title. But you know what peanuts are? Peanuts are delicious and peanut butter is freeeeeeaaaaking delicious! And we vote if you love peanut butter, you can eat it every now and again. So a couple weeks ago we had a random craving for peanut butter so we bought it. We stared at this tub of organic peanut butter for a little while, then we ate a spoonful each and then we knew what we had to do. 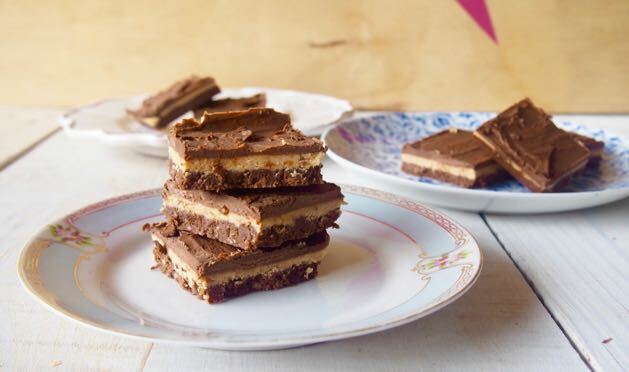 We had to turn our low fructose Salted Caramel Slice recipe into a new Salted Chocolate Peanut Butter Slice! Duh! It was our best idea yet (hehe ok exaggeration, but bloody good idea!). 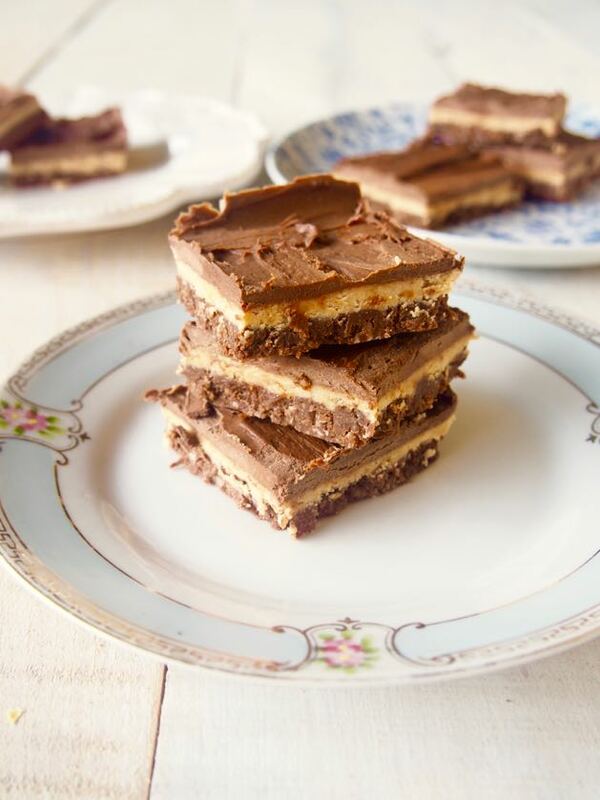 If you want to make this peanut butter slice paleo, simply use any other (actual) nut! We reckon macadamia or almond butter or cashew butter… or a mix of all the nut butters! Ok. We best get back to it. We’re whipping up another Low Fructose Vegan Salted Chocolate Peanut Butter Slice, for research of course. Line a 20 x 20 cm (8 x 8 inch) loaf tin with baking paper, or use a silicon mould. Place all the base ingredients in to a food processor or blender, whiz until well combined, it will be quite smooth. Transfer the mix in to the prepared tin, ensure it is evenly spread. Don't waste time rinsing the food processor! Now place all the peanut filling ingredients into the food processor and whiz until completely smooth. Pour this delicious mixture over the top of the base and return to the freezer. Lick the spoon. Add the raw cacao, coconut oil, vanilla and sweetener to your food processor (again, no washing required!) whiz until completely smooth. Pour the choc topping over the peanut filling, shake the tin slightly to even it out. Return to the freezer for about 20 minutes or until completely set. To make it low fructose use rice malt syrup to sweeten! And remember, make it paleo by swapping peanut butter to almond/macadamia/cashew butter! YUM!